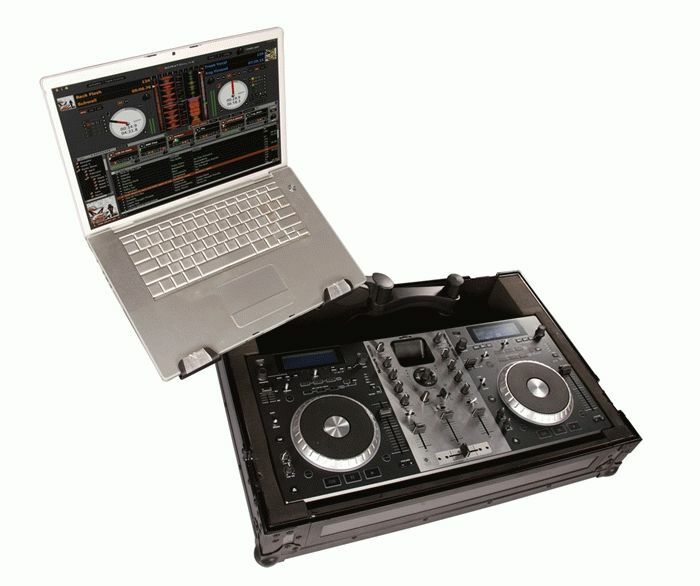 Today on the DJzone Bench, we have the Gator G-Arm DJ Controller Case. This is one of the family of hardside cases Gator produces especially for DJs to protect thier investment in thier DJ controller. Weighing in at about 40lbs with a controller on board seems a little heavy, but when you open the case and see it is not only a case, it is also a load balancing laptop computer stand.